Blog Quick Quotes: Whistlin' Dixie with Alicia! Good morning Quick Quotes readers! Alicia with you today still chugging along on my family vacation album. Today I have a layout with the vibrant Whistlin' Dixie collection which are now my favorite papers for teenage layouts. My favorite way to make the most of a beautiful sheet of paper is to fussy cut the pretty parts. That is exactly what I did here with this piece of Whistlin' Dixie 103 paper. 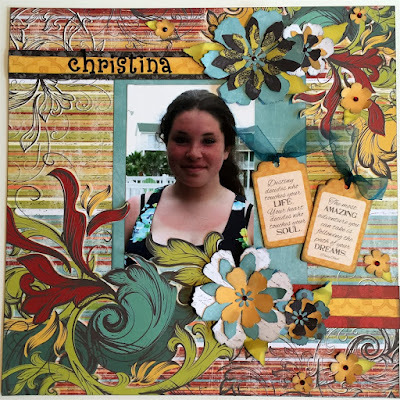 The flourish design is so bright and beautiful just like my niece! I also cut out strips from Whistlin' Dixie 100 paper. I love papers that you can cut up for embellishments. 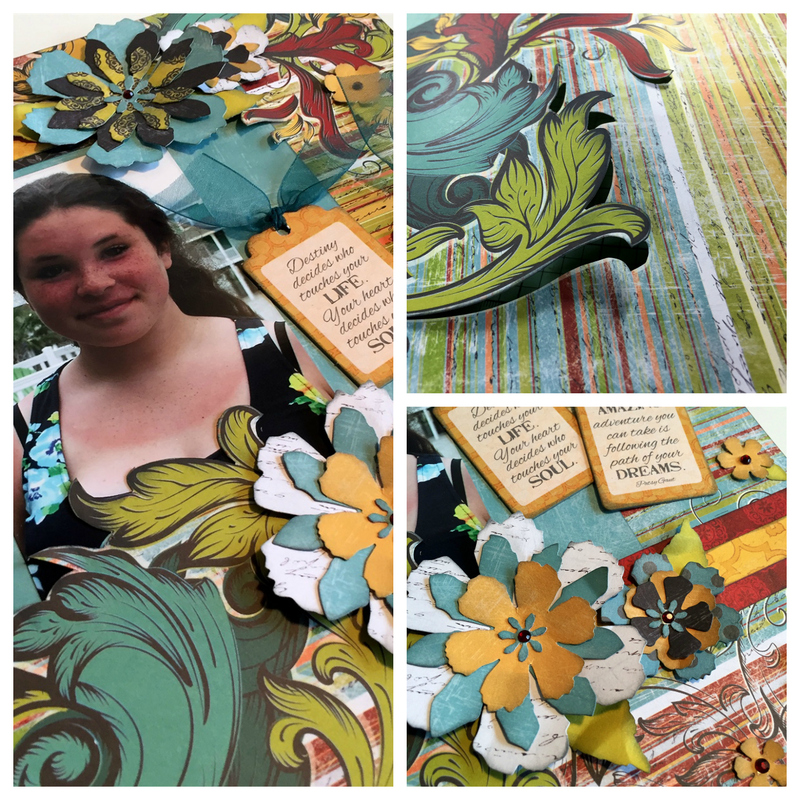 I had the most fun cutting various flowers and layering them for this bold and bright teen layout. Of course, I inked all the edges and crumpled them a bit for a distressed look. My new favorite PowderPuff Chalk Ik is Coal Miner, it looks great with every thing! I finished off the flowers with some bling. 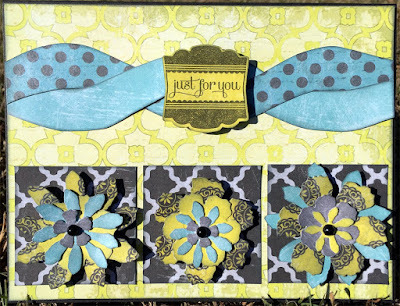 I had so much fun making the flowers I decided to create a card with the scraps. It doesn't look like a card from scraps at all! I used Kiwi Lane templates to make the twist layer. 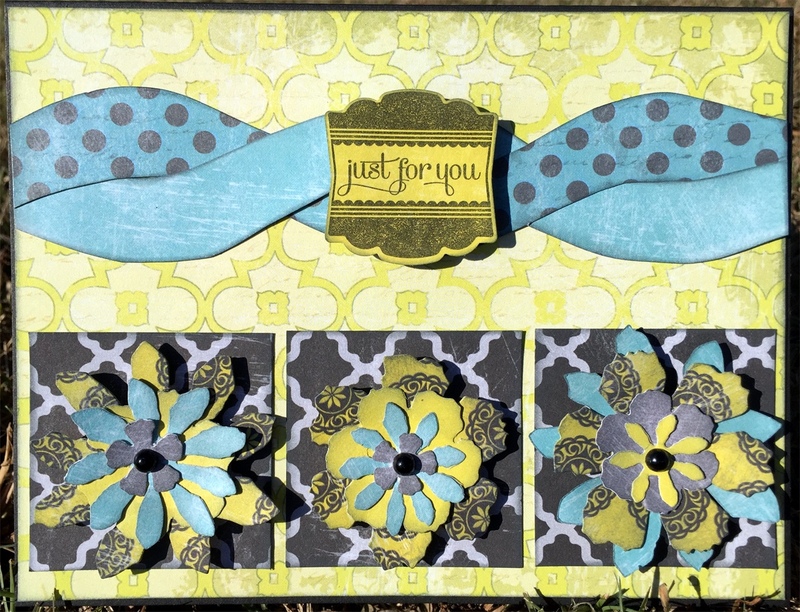 It turned out to be such a bold and bright card but balanced with the blacks and greys from 49 Shades of Grey.